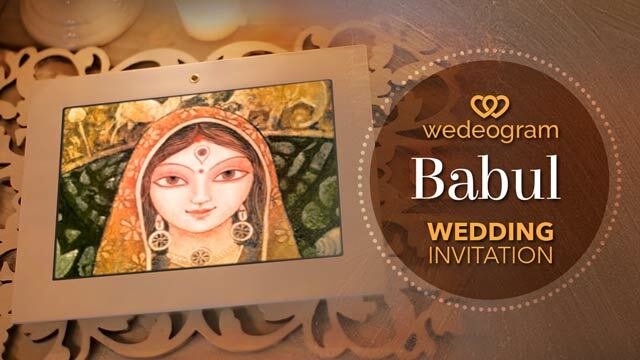 Seek Eternal happiness from Lord Ganesha and give an auspicious start to your Wedding Celebrations with this Divine Video Invitation. “Shree Vakratunda Mahakaya” Mantra chants in the video will not only sanctify your 7 Wedding Promises but will also be cherished by your guests forever. Write your own 7 Promises or use the Default Vedic (as seen in video). Write BLANK if you want to remove the text entirely. Since Vedic times the very first thing in a Hindu wedding is to offer prayers to “The God Of Beginnings”, the remover of all obstacles- Lord Ganesha. Beginning with the 7 promises, as mentioned in the Vedas, this video invitation is a celebration of those age old rituals and practices in a contemporary setting. 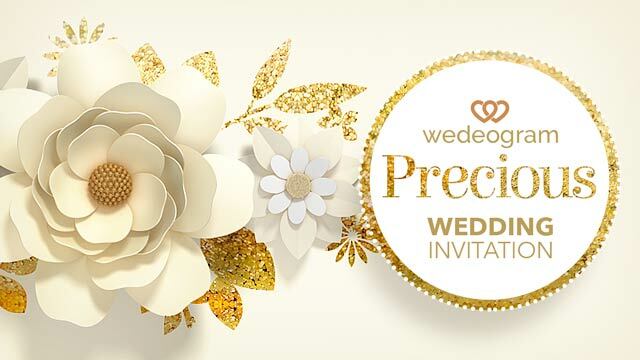 All the elements in the video including roses, radiant candles and figurines symbolising prosperity and love, will make this video invitation a treasure for your family and friends. Send in your details and we’ll Personalise the video with your favourite music, text and photos to make this spiritual Invitation truly magnificent. Although your photos in black & white will perfectly complement the ivory idol of Lord Ganapati in this spiritual video you can still request to display them in colour. How to Get Eternal Wedding Video Invite? Simply fill out a form with your Wedding Details such as Names and Place. Upload your Photos and place your order. We will create your personalised video, get it reviewed from you and then deliver it in your inbox. It’s that simple! Add Names of Bride and Groom and Family. 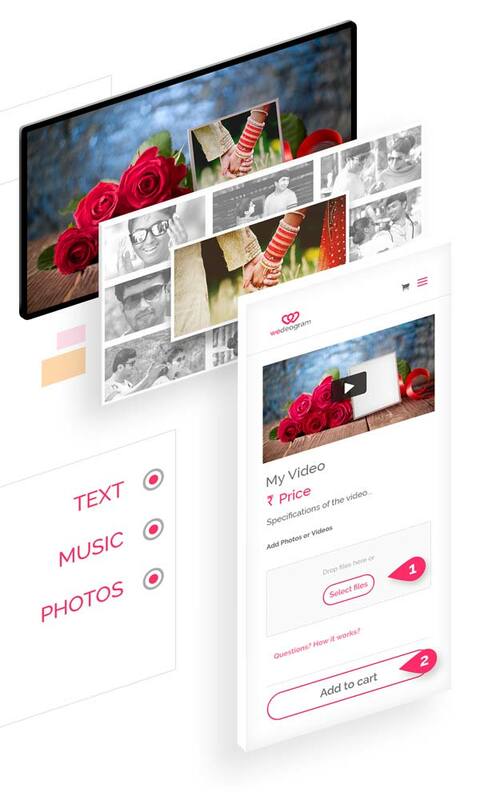 Upload Photos or videos for personalisation. We start working on your video as soon as we receive your photos and complete text details. We may call you if anything’s missing. So please mention correct phone numbers and email ids while ordering. You can use your own personal versions of the Wedding Vows. Get creative and share your genius with us. Confused? or want to Book Offline?